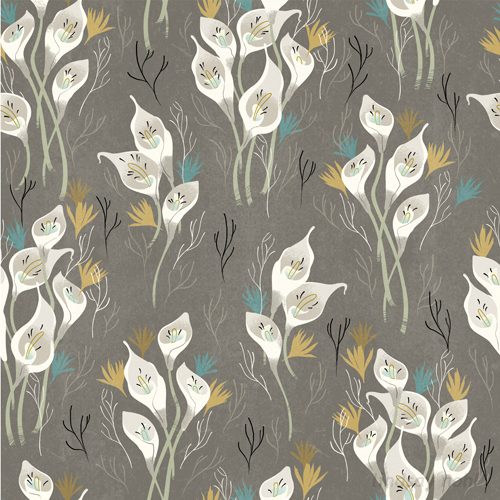 paperbicycle: 101 Florals : Greys! Hello, Fall! 101 Florals : Greys! Hello, Fall! It's a three-day weekend! We've got a whole day left to enjoy! It's unseasonably warm these days in Minneapolis and though I should be celebrating the remaining days of summer, I'm actually looking forward to the cool days of fall. My wardrobe is stuck somewhere between the weird tank tops and short shorts that I had been sporting, and the too-many-layers situation I like to bring on when I start to see the leaves falling. I woke up today and when I looked outside, I noticed the majority of the trees outside my window are already turning yellow and leaves have covered the windshield of my car. So! With that, I headed to an autumn flavored color palette. I figure I might as well usher in the cool weather with some grey, mustard, teal and neutrals. Now that I think of it, I just went out and bought a couple outfits in those exact colors...hmmm. With fall comes all of the other things I love. Like school. I begin teaching a pattern and product design course at the College of Visual Arts in St Paul on Wednesday and soon I'll be teaching a hands-on patterns class at MCAD. That, and I've got a lot of other fun things to look forward to as I get further into fall. Back into the groove, right? For now, I'm running through all of my favorite types of patterns and trying new things. 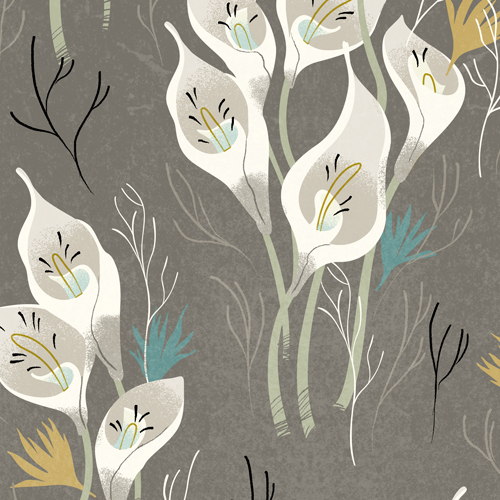 I think this Calla Lily pattern worked out well for me. I'm thinking of trying something a little different next time! Happy Fall, everyone. And enjoy the holiday! Cross posted with 101florals blog!